Odelay is the fifth studio album by American musician Beck, released on June 18, 1996 by DGC Records. The album featured several successful singles, including "Where It's At", "Devils Haircut", and "The New Pollution", and peaked at number sixteen on the Billboard 200. 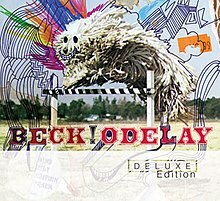 As of July 2008, the album had sold 2.3 million copies in the United States, making Odelay the most successful album from Beck to date. Since its release, the album has appeared in numerous publications' lists of the greatest of the 1990s and of all time. The sessions for what would become Odelay originally began as a subdued, acoustic affair. In 1994, Beck started to record tracks for his follow-up to Mellow Gold with Bong Load producers Tom Rothrock and Rob Schnapf. Hansen had recently experienced a number of personal tragedies (including the death of his grandfather, Al Hansen), and the tone of the songs as well as their production were considerably somber. Only a handful of tracks from these sessions have been released: "Ramshackle", "Feather in Your Cap", and "Brother". All three of these songs are acoustic, sparse, and melancholic, and have a haunting sound. He would eventually abandon work with Rothrock and Schnapf, opting to work with the Dust Brothers instead. The Dust Brothers' production style was hip-hop-focused yet more layered; their résumé included notable work with Beastie Boys, Tone Lōc and Young MC. Perhaps to counter the negative events in his life, Beck attempted to continue the savant-absurdist slant of Mellow Gold (which contained the accidental smash hit Loser) with more obviousness to create intentionally disposable pop songs on Odelay. Many of these were embraced by radio and became the hit singles from the album. Like Mellow Gold, Odelay incorporates elements from various genres, including "folk and country, grungy garage rock, stiff-boned electro, louche exotica, old-school rap and noise rock." Additional influences include punk rock, bossa nova, Latin soul and mainstream R&B. Following this recording Beck returned to the early sessions' downcast style (albeit different than that shown in One Foot In The Grave which often was filled with gallows humor) with his 1998 follow-up, Mutations and many efforts since. The title is a phonetic English rendering of the Mexican slang interjection "órale", which translates roughly to "listen up" or "what's up?" The phrase "odelay" is repeated in the lyrics during the outro of the song "Lord Only Knows". According to Stephen Malkmus, the title is a pun on Oh Delay, since the album took very long to record. The album's cover is a photo of a Komondor, a rare Hungarian breed of dog with a heavy, corded coat. The original photo was shot by canine photographer Joan Ludwig (1914–2004) for the July 1977 issue of the American Kennel Club’s Gazette. Upon release, Odelay received almost unanimous critical acclaim. Odelay was nominated for the Grammy Award for Album of the Year and won a Grammy Award for Best Alternative Music Album in 1997, as well as a Grammy Award for Best Male Rock Vocal Performance for "Where It's At". It was ranked 16 in Spin's "100 Greatest Albums, 1985–2005". Odelay was awarded Album of the Year by the American magazine Rolling Stone. It was voted as the best album of the year in The Village Voice Pazz & Jop critics poll, and also in NME's annual critics poll. In 1998, Q magazine readers voted Odelay the 51st greatest album of all time. In 2003, the album was ranked number 306 on Rolling Stone magazine's list of the 500 greatest albums of all time and number 9 on its list of the 100 best albums of the nineties. Voters in Channel 4's 2005 "100 Greatest Albums" poll placed it at number 73. The music website Pitchfork ranked it at #19 on their top 100 albums of the 1990s. The album was also included in the book 1001 Albums You Must Hear Before You Die. All songs written by Beck, John King and Michael Simpson, except where noted. Produced by Beck Hansen and The Dust Brothers, except where noted. On January 29, 2008, Odelay – Deluxe Edition was released. The two-disc set contains the original album, plus 19 B-sides, remixes and previously unreleased songs. The liner notes feature complete lyrics and artwork as well as an essay from Thurston Moore and the transcript of 15 high school students interviewed by Dave Eggers. The cover art was deliberately edited to appear as if it was a personalized copy of the album, with stickers carelessly half-ripped off and various doodles on it (such as a face drawn on the dog and rainbows behind it) and including the phrase "Property of Michael" written on the back. The exclusion of "Diskobox" may have been done as a deliberate nod to the cover art having the 'strictly limited edition bonus track' sticker partly torn off. "Diskobox", which appeared on the original UK and Japanese pressings of Odelay, was not included on the deluxe edition for unknown reasons. The Odelay sessions version of "Debra" (later re-recorded for Midnite Vultures) is also absent, despite initial statements to the contrary. Different version than the one on Stereopathetic Soulmanure. Sped up from the originally released length of 3:16. "Soul Drums" by Pretty Purdie. "High 5 (Rock the Catskills)"
^ "Ask Billboard". Billboard. 2008-07-18. Archived from the original on 2008-08-01. Retrieved 2008-07-18. ^ a b Erlewine, Stephen Thomas. "Odelay – Beck". AllMusic. Retrieved January 29, 2015. ^ Sheffield, Rob (2008-02-07). "Rolling Stone 2008 Review". Rollingstone.com. Retrieved January 29, 2015. ^ "Q&A: Stephen Malkmus on New LP, Beck + More". Retrieved 2011-07-07. ^ Kot, Greg (June 27, 1996). "Beck's Whimsical 'Odelay' A Musical Smorgasbord". Chicago Tribune. Retrieved October 24, 2015. ^ Smith, Ethan (June 21, 1996). "Odelay". Entertainment Weekly. Retrieved January 29, 2015. ^ Scribner, Sara (June 16, 1996). "Beck Takes Quirkiness to New, High-Tech Level". Los Angeles Times. Retrieved October 24, 2015. ^ Cameron, Keith (June 22, 1996). "Beck – Odelay". NME. Archived from the original on October 16, 2000. Retrieved August 27, 2015. ^ Schreiber, Ryan. "Beck: Odelay". Pitchfork. Archived from the original on April 15, 2002. Retrieved January 29, 2015. ^ Kemp, Mark (June 13, 1996). "Odelay". Rolling Stone. Retrieved August 27, 2015. ^ Sheffield, Rob (2004). "Beck". In Brackett, Nathan; Hoard, Christian (eds.). The New Rolling Stone Album Guide (4th ed.). Simon & Schuster. pp. 55–56. ISBN 0-7432-0169-8. ^ Morris, Chris (July 1996). "Beck: Odelay". Spin. 12 (4): 87. Retrieved August 27, 2015. ^ Christgau, Robert (September 17, 1996). "Consumer Guide". The Village Voice. Retrieved January 29, 2015. ^ "Australiancharts.com – Beck – Odelay". Hung Medien. Retrieved February 12, 2014. ^ "Austriancharts.at – Beck – Odelay" (in German). Hung Medien. Retrieved February 12, 2014. ^ "Ultratop.be – Beck – Odelay" (in Dutch). Hung Medien. Retrieved February 12, 2014. ^ "Ultratop.be – Beck – Odelay" (in French). Hung Medien. Retrieved February 12, 2014. ^ "Dutchcharts.nl – Beck – Odelay" (in Dutch). Hung Medien. Retrieved February 12, 2014. ^ "Beck: Odelay" (in Finnish). Musiikkituottajat – IFPI Finland. Retrieved February 12, 2014. ^ "Lescharts.com – Beck – Odelay". Hung Medien. Retrieved February 12, 2014. ^ "Officialcharts.de – Beck – Odelay". GfK Entertainment Charts. Retrieved February 12, 2014. ^ "Charts.org.nz – Beck – Odelay". Hung Medien. Retrieved February 12, 2014. 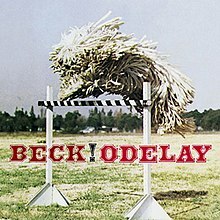 ^ "Norwegiancharts.com – Beck – Odelay". Hung Medien. Retrieved February 12, 2014. ^ "Swedishcharts.com – Beck – Odelay". Hung Medien. Retrieved February 12, 2014. ^ "Swisscharts.com – Beck – Odelay". Hung Medien. Retrieved February 12, 2014. ^ "Beck | Artist | Official Charts". UK Albums Chart. Retrieved February 12, 2014. ^ "Beck Chart History (Billboard 200)". Billboard. Retrieved February 12, 2014. ^ "Canadian album certifications – Beck – Odelay". Music Canada. ^ "Japanese album certifications – Beck – Odelay" (in Japanese). Recording Industry Association of Japan. ^ "British album certifications – Beck – Odelay". British Phonographic Industry. Select albums in the Format field. Select Platinum in the Certification field. Type Odelay in the "Search BPI Awards" field and then press Enter. ^ "American album certifications – Beck – Odelay". Recording Industry Association of America. If necessary, click Advanced, then click Format, then select Album, then click SEARCH.